These Bluetooth buds stream music smoothly and filter out noise around you, but they’re confining and run out of juice in a couple of hours. For all the hype around virtual and augmented reality for your eyes, some exciting technology is also coming to your ears. Thanks largely to Apple’s $159 AirPods, wireless Bluetooth earbuds are going mainstream. At the same time, the advanced audio technology in ultra-expensive hearing aids is trickling down to enable new consumer gadgets that tune how you hear the world. They show promise, but still need some work. 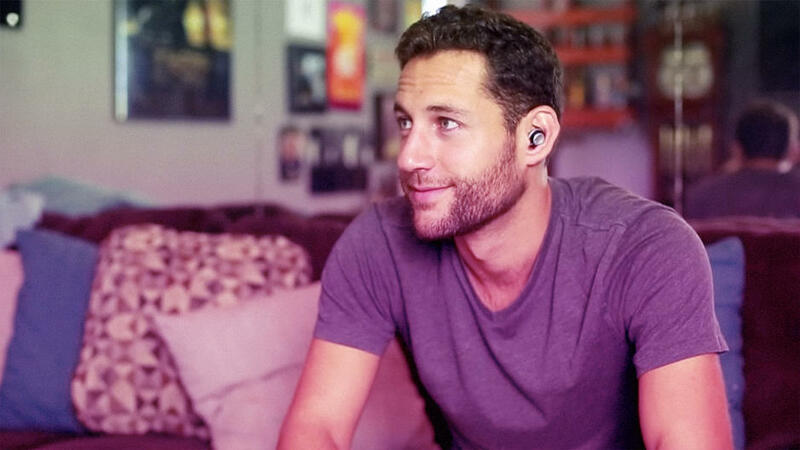 Doppler Labs is one of a few companies–others include Bragi and Nuheara–combining these trends into earbuds with a threefold mission. 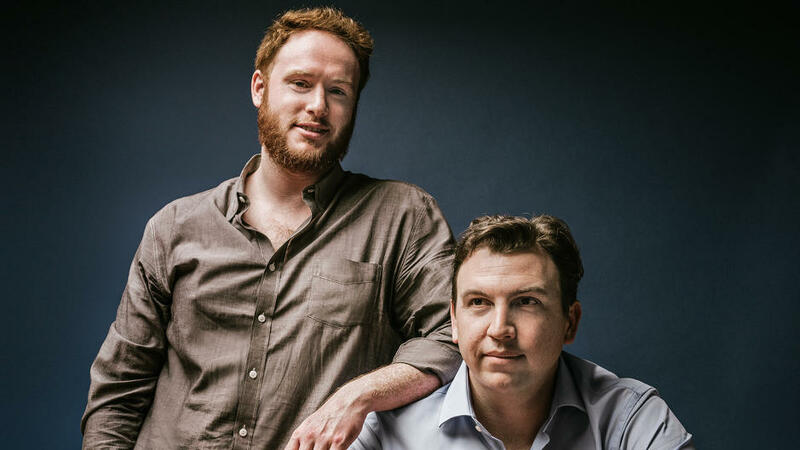 They stream music and calls from iPhones and Android phones, assist people with minor hearing loss, and aim to enable better than normal hearing by using sound filters to minimize distracting noise like chatter in a busy restaurant. In trying to achieve all three, Doppler’s $300 Here One earbuds (available in black or white) make some compromises. They are not the best wireless earbuds–especially given their brief battery life–and they don’t claim to be hearing aids. Nor do the Here One buds entirely nail the better-than-normal hearing that Doppler promises. But they offer a tantalizing hint at what that might sound like in the future—probably enough to entice early adopters. Leveraging everything from advanced hardware engineering to AI, this startup wants to give you control over your world’s sounds. First the basic stuff. The Here One fit snuggly in the ear canals, thanks to the included selection of silicon and foam tips in a range of sizes. The audio driver (speaker) in each Here One delivered strong bass, as in iTunes downloads of Metallica’s “Master of Puppets” and Kendrick Lamar’s “m.A.A.d city.” But trebles sounded thin compared with Apple’s AirPods—especially in the high female voices of “Helpless” from the musical Hamilton. With the AirPods, those notes were remarkably crisp. I handed Doppler’s buds to my colleague Mark Sullivan, who found both the highs and midtones weak in comparison. He also craved more volume. The comparison holds for phone calls. My friend Vanessa was impressed with how well she could hear me when I rang her from a busy café using the Here One; but when I called with the AirPods, she was startled at the clarity of my voice and lack of background noise. Doppler’s CEO Noah Kraft is proud of the audio quality, but doesn’t aim to compete only on streaming ability. “If you just want to run around with wireless headphones, there are other great products,” he says, naming the AirPods. Doppler successfully takes on the biggest barrier to Bluetooth audio quality: the human body. I tested the Here One, AirPods, and Nuheara IQbuds by walking with my iPhone 7 in my back pocket. With the IQbuds, the audio often degraded to a funky boing-boing sound as the signal broke up. Both the Here One and AirPods streamed smoothly with my phone in either back pocket—and even on a table about 50 feet away. The main downside to Here One is battery life: two hours with streaming and a few more minutes with just sound filtering. (Exact battery life depends on filters used, says Doppler.) Apple claims up to five hours of streaming per charge, and I got a little over four. Nuheara’s IQbuds also last about four hours for streaming and up to eight for just sound filtering. Kraft acknowledges the limitation, calling Here One an “episodic product” that isn’t designed to be used for hours at a time. He believes that software updates will extend the battery life a bit. “I wouldn’t say the battery will get significantly better,” he says. Like its rivals, Here One comes with a rechargeable battery-equipped carrying case. Doppler’s case has enough juice to replenish the buds three times. It takes an hour to fully recharge them. Of course the 0.2-ounce Here One buds are doing a lot more than the AirPods—constantly pulling surrounding sound from three microphones per bud and processing it so quickly that I didn’t perceive a delay. Customizing the ambient sound starts with a volume control in the Here One smartphone app that ranges from -22 decibels of dampening to +6 dB of amplification. At the lowest setting, snapping my fingers registered as a faint tap; at max volume, it startled me. Low volume wiped out most of the noise in a busy café where I often work. The app’s sound filters dampen certain frequency ranges, like the rush of traffic in the City preset or the clatter and rumble of conversation in the Restaurant one—which works well for bars, too. The Crowd filter tamps down voices in the distance while keeping those close by crisp. All sound processing happens in the earbuds themselves; the app is for making adjustments. Tapping the buds enables basic functions like activating Siri or Google Now and accepting or hanging up a call. Even if you’ve got normal ears, the IQbuds’ audio-enhancing technology can help take the stress out of noisy environments. I tried the buds over several weeks. When a place got exceedingly loud, I selected the Enhance Speech (Front) filter. With its multiple mics, Here One can determine the direction of sounds and focus on a location. The heavy audio processing made people sound like robots, but ones with good diction. I also tried the Enhance Speech (Back) filter for the parlor trick of eavesdropping on people behind me. When I didn’t want to hear a thing, I picked the Noise Mask filter, which filled my ears with soothing white noise. It blocked out people on either side of me in a café having obnoxiously loud Skype calls. The Airplane filter blocks out jet engine noise—at least a recorded simulation that Doppler provided. (I didn’t go on any flights myself while testing the buds.) Short battery life limits the usefulness, though. With the filters engaged but the volume up, The Here One buds can tune out annoying noise like traffic but let through important sounds like car horns. Doppler discovered a new customer segment when it was beta testing Here One: New moms who wanted to listen to music or podcasts but still also be able to hear their baby. That’s an example of the “layered listening” Doppler offers—blending audio streams and real-world sound. Doppler is partnering with live entertainment sources like the Cleveland Cavaliers, New York Philharmonic, and Fine Arts Museums of San Francisco to layer in commentary that goes with the live experience. The Here One app volume, menu, and filters screens. I had hoped that Here One would tame my aversion to loud places like packed bars, where I feel isolated by noise. But they introduced a new sense of isolation: the unnatural sound and feeling of having my ears stopped up. I got more anxious walking up to someone because I wasn’t confident I would hear them or sure they would hear me. I instinctively yanked at least one bud out before speaking. Friends had the same reaction. Our impressions were similar for a close rival product, Nuheara’s IQbuds, which we tried for comparison. Making things worse is the occlusion effect: Vibrations in your body—from things like speaking, chewing, or walking—are magnified when the ear canals are filled. That artificial effect made me feel even more removed from the world. Doppler says it’s working on audio processing to minimize occlusion. The folks from Doppler, as well as Nuheara, are emphatic that they have not built a hearing aid. “To be very clear, Here One is not a medical device,” says Kraft. But he says that they might help people with some hearing loss. It’s a rhetorical balancing act. Only devices the U.S. Food and Drug Administration approves as hearing aids can bear that title. However, the FDA wants to encourage unregulated devices called personal sound amplification products (PSAPs) as cheaper options for people with mild hearing loss—like the impairment of high frequencies resulting from age, rock concerts, or noisy work environments. Why Isn’t There A Warby Parker For Hearing Aids? A billion people have diminished lives due to the cost and stigma of in-ear devices. Doppler may be reticent about comparing its product to a hearing aid, but I don’t have to be. I contacted Starkey Hearing, one of the biggest hearing-aid makers, and asked to borrow its brand-new, nearly invisible Halo 2 model. 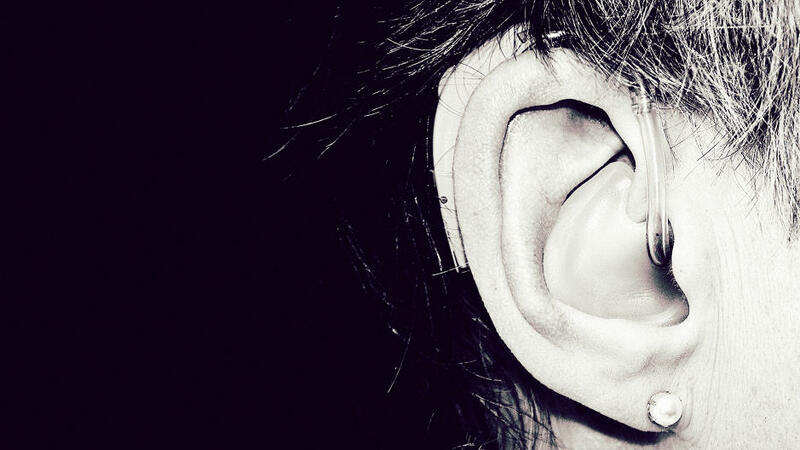 Starkey administered an audio test and found that I have mild high-frequency hearing loss—not surprising for a big-city 45-year old who has spent a fair amount of time at concerts, bars, and clubs. With the Halo 2s tuned to boost those high frequencies, I heard things I don’t remember having ever noticed: The sharp sound of glasses clinking, the rattle of keys as I type, my hand brushing over a satin sofa cushion. It wasn’t that I couldn’t understand what people were saying without the Halo 2. But I didn’t feel as tired after having a long conversation someplace noisy. There was barely any occlusion effect, either. I felt more engaged with people, not slightly removed, as with the Here One. There may be another option soon. Starkey has a partnership with wireless earbud maker Bragi to upgrade its Dash earbuds with Halo 2 audio technology. The current Bragi Dash buds run for about four to six hours per charge for streaming music as well as fitness tracking. The new models, expected in a few months, will cost more. A price hasn’t been set, but it will likely be a fraction of what the Halo 2 costs. Our hearing has evolved over millions of years, and we are very sensitive to any changes in quality. It’s probably inevitable that such a disruptive audio product like Here One would feel…disruptive. People get disoriented from virtual reality and augmented reality glasses—which are also in their very early days. Kraft admits that Here One has a way to go, and he claims that regular software updates will help. Here One has come close to succeeding, but that may not be enough for most people. And the last stretch could be the hardest for its engineers to achieve.